Q) How different is Eedu Gold Ehe from your previous movies? A) My previous hits like Poola Rangadu, Bhimavaram Bullodu and Jakkanna were commercial comedy entertainers which had predictable screenplays. However, Eedu Gold Ehe is a different movie just like Maryada Ramanna. Eedu Gold Ehe will be that one film which I can watch any number of times on a home DVD. I am confident that the film will satisfy every movie lover. Q) Tell us something about director Veeru Potla? A) Veeru Potla handled the film quite intelligently. Audiences cannot predict what will happen in the next scene. Even though it might appear like a family drama, Eedu Gold Ehe also has a suspense angle to it. Whether my conflict will be resolved or not will keep the audiences intrigued until the last minute, just like in Maryada Ramanna. Each frame has comedy written all-over it. I give the entire credit to the film’s director Veeru Potla. Q) How did you zero in on the title, Eedu Gold Ehe? A) I play a character named Bangarraju. The ‘Ehe’ in the film’s title is my mannerism in the film. Am sure even kids and elders will own the catchphrase ‘Ehe’ after watching the movie. I quite liked the title when Veeru Potla revealed it to me. Q) Throw some light on your character? A) My character has two shades. Veeru Potla wrote the script keeping me in his mind. I am sure this film will earn me fame just like Maryada Ramanna did. 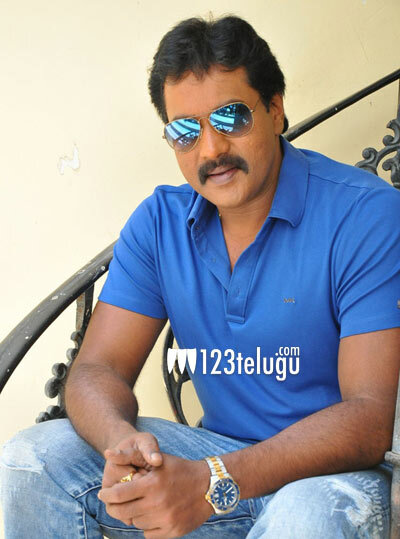 Audiences will see the vintage Sunil in comedy scenes. Eedu Gold Ehe will have the shades of a family entertainer and crime thriller. Q) Are you happy with the way Jakkanna fared? A) Yes, completely. We never expected that the film will be a huge success. But audiences gave us a hit beyond our expectations. God has passed off Jakkanna with a second class. Q) How does it feel doing a wholesome commercial entertainer? A) It’s quite difficult to act in commercial entertainers. Commercial cinema has become an ‘item’ and we have to keep on serving a fresh item whenever the old ones become routine. I believe an actor’s real caliber comes out through commercial and routine movies. On the other hand, different and experimental movies enhance an actor’s caliber. Q) How do you choose your scripts? A) I stepped into film industry with an ambition to become a villain like Mohan Babu and Kota Srinivasa Rao. In fact, I am a mixture of Kota and Sridevi and nobody knows this secret till date. I want to entertain everyone and I select the scripts that I like and feel even the producer may like it. Q) How do you cater time for your family? A) I always spend time with my family whenever I am not shooting. There were days even I used to shoot for five movies per day, including lunch breaks, and I used to sleep in cars, buses and trains and hence I used to spend very little time with family but they never complained. I am making up for that now by allotting more time to family. Q) There were reports that you are acting in Chiranjeevi’s Khaidi No. 150? A) No, I am not doing that film due to my busy schedule. I hope to act with Chiru in his next movie. Q) Apart from the movies, do you find time for social service? A) Not particularly, but I do attend the charity and social service events whenever I am invited. I also do my bit on mine and my mother’s birthdays every year. I have started groundwork for setting up a social service organization and hope to launch it by next year. I am planning to adopt at least ten mentally challenged children and offer them assistance towards their education until they procure jobs.